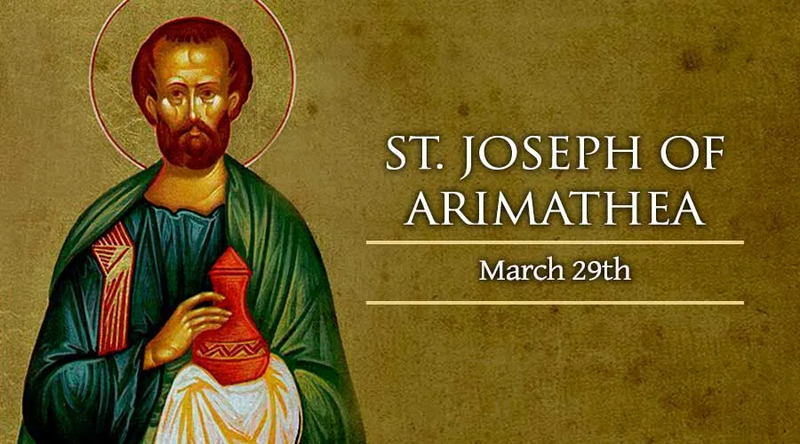 St. Joseph of Arimathea is a disciple of Jesus Christ who is mentioned in each account of the Passion narrative. After the Passion of the Lord, Joseph, a member of the Jewish council went to Pilate and asked for possession of the body of Jesus. After receiving this permission, Joseph had Jesus laid in a nearby tomb. The Gospels tell us that Joseph was a just and devout man waiting for the kingdom of God. He followed Jesus' public ministry but feared the repercussions from the other members of the Jewish council.